This salad was a bit hit at the IEM Veggie Trailer at the last Farmer’s Market. 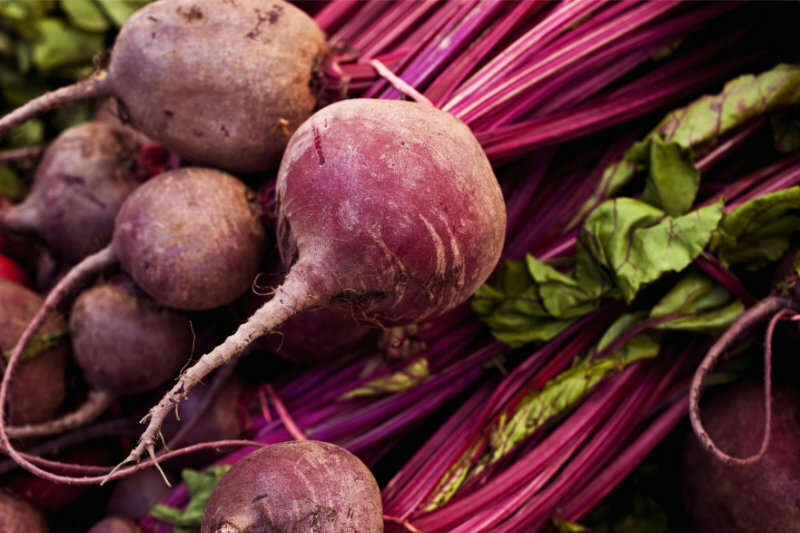 Pick up some beets and give this tasty, healthy recipe a try! Boil beets until tender. Drain and cool. Put in a bowl and mix in onion, feta cheese, and walnuts. In a small bowl or jar mix together olive oil, vinegar and optional herbs. Pour this over your beet mixture and serve cold.